This post is a part 17 of ECMAScript 6 Complete Tutorial post series. You can place the below code in an separate file to make it an distributable module or place it directly in your main program for your own use. Here sum and sub function objects remain in memory but there is no way the program which uses the module can access them therefore we prevented any chances of overriding global variables. The only thing thats available global is math object which exposes all the functionality of the module by hiding their implementation. jQuery library is a IIFE module. The only object that it exposes is $ or jQuery. Suppose we have two files “main.js” and “math.js”. Let me show you how to make “math.js” behave like an module and then use the module in “main.js” file. //All the variable we want to expose outside needs to be property of "exports" object. Here we successfully prevented any chances of overriding global variables and also hide the implementation. There are some hacky implementations for making CommonJS specification work on browser but there are lots of performance issues with it. One such implementation is Browserify. Provide relative url of the “index.js” file in the data-main attribute. Here we are asking RequireJS to load math module before the main program. This is how you need to create a module. Now any website using RequireJS can import “math.js” module file. Here we successfully prevented any chances of overriding global variables in main program and also hidden the module functionality implementation. UMD is a set of techniques to create modules that can be imported using CommonJS, AMD or as IIFE. 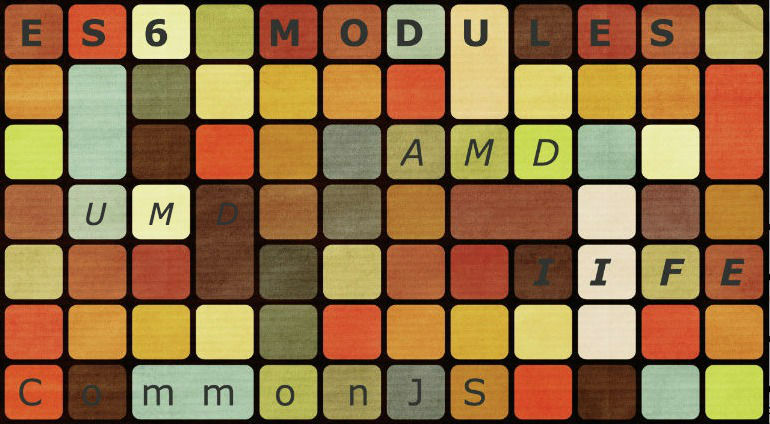 UMD modules are called Universal Modules. There are many techniques under UMD. Its upto you to choose whichever you want to use for creating modules. My favourite UMD technique is returnExports. Import module “math.js” any way you wish to i.e., CommonJS, RequireJS or as IIFE and it will be successfully imported. UMD doesn’t provide techniques for importing modules its just for creating modules. There are lots of more advanced functionality supported by ES6 modules.